Looking for an efficient and easy way to present your survey results to your clients, colleagues, superiors, etc.? With one single click our tool generates a Powerpoint presentation with your key results in a branded template from your company. 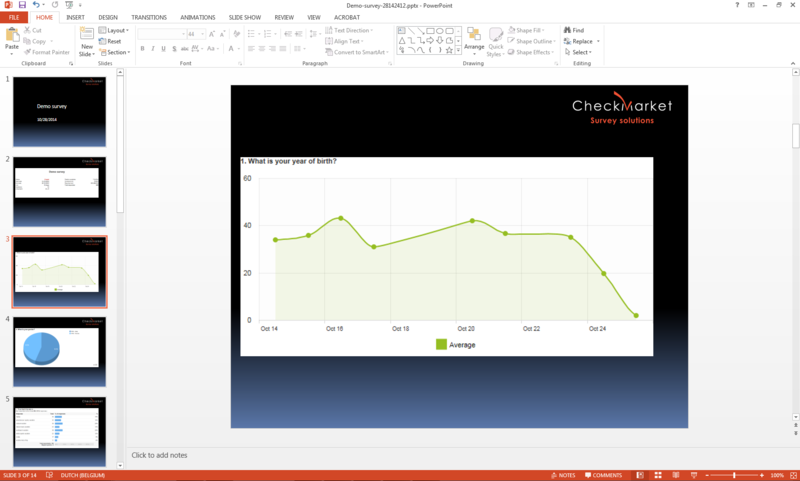 The PowerPoint report is a default feature, available for all users and all pricing plans (even for free trial surveys). 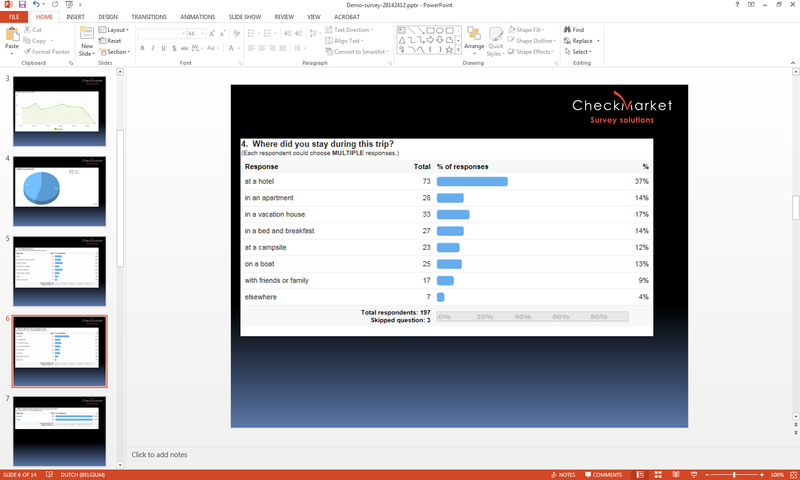 The report presents the survey results in a chart of each question on a separate slide. 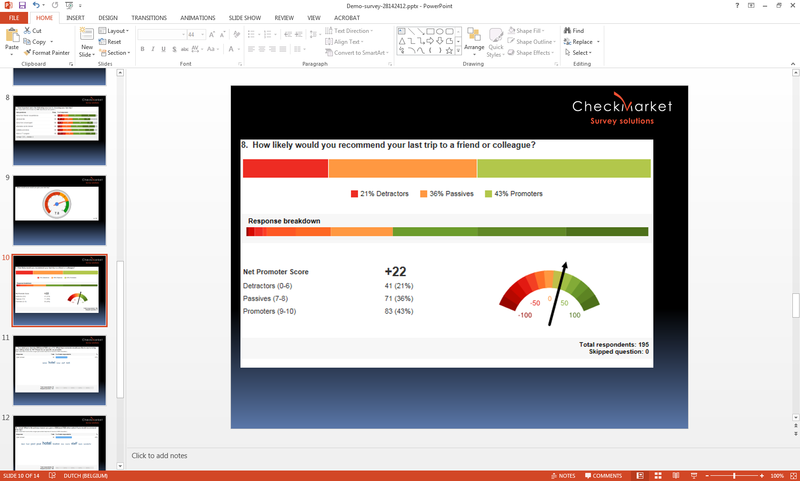 The PowerPoint survey results respect active filters and active question sets what allows you to generate personalized reports for each team. Download a branded PowerPoint report with demo results. The report reflects active filters! Filter on each division of your company and produce a specific PowerPoint report for each division, with just a few mouse clicks. Personalize the report even more by selecting the questions that should be included in your report. Simply download your PowerPoint. Add your own texts, annotations and images and you’re ready for the meeting room. A real time saver! We integrate your custom PowerPoint template into your account so every PowerPoint report matches your company’s branding. You’ll be ready for the meeting room in a jiffy! Just give it a try. Register for free, create and launch your survey and present your results afterwards in PowerPoint.